Point Shot: Mismatch of the Night - Anaheim @ Tampa Bay - The Point Data-driven hockey storytelling that gets right to the point. 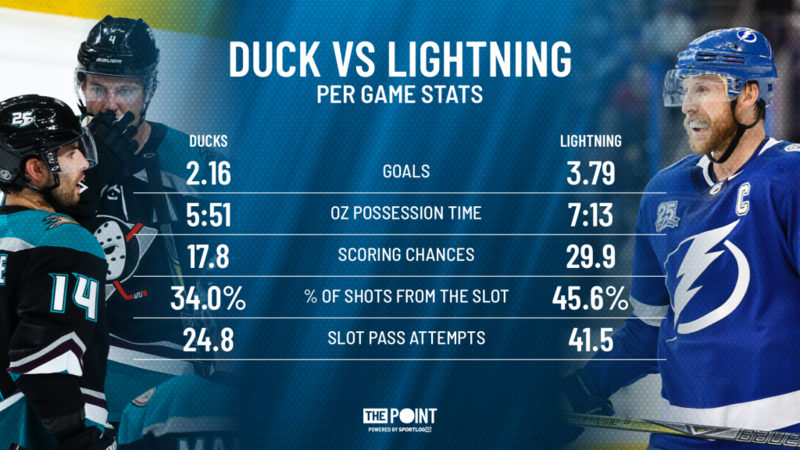 Tonight’s Ducks-Lightning game will feature what is, on paper at least, one of the biggest mismatches in the NHL. 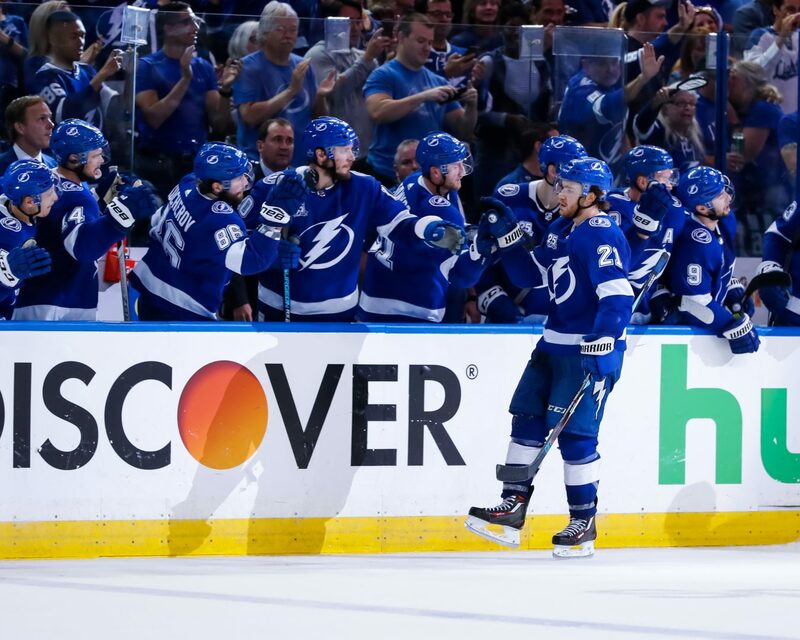 Tampa is currently tied for first in the NHL with a 17-6-1 record and is the highest scoring team in the league. The Ducks, meanwhile, score fewer goals than any other team in the league and are 17th in the standings, buoyed by outstanding play from goalie John Gibson. A deeper look into the numbers doesn’t make it look any closer. All of Tampa Bay’s numbers in the graphic above rank top-5 in the league, while Anaheim’s all rank in the bottom five. Only three teams in the NHL attempt fewer than 30 passes to the slot per game, and no one apart from the Ducks clocks in at under 28 per game. It’s the same story for the scoring chances, where the Ducks rank last as one of only two teams generating fewer than 20 per game. The other? The L.A. Kings, who are just a hair shy of 20 at 19.8. The one bit of good news for Anaheim is that Andrei Vasilevskiy is still out with a foot injury, so they will be facing Louis Domingue and his .905 save % tonight. Even with that, the ice is heavily tilted in Tampa’s favor.